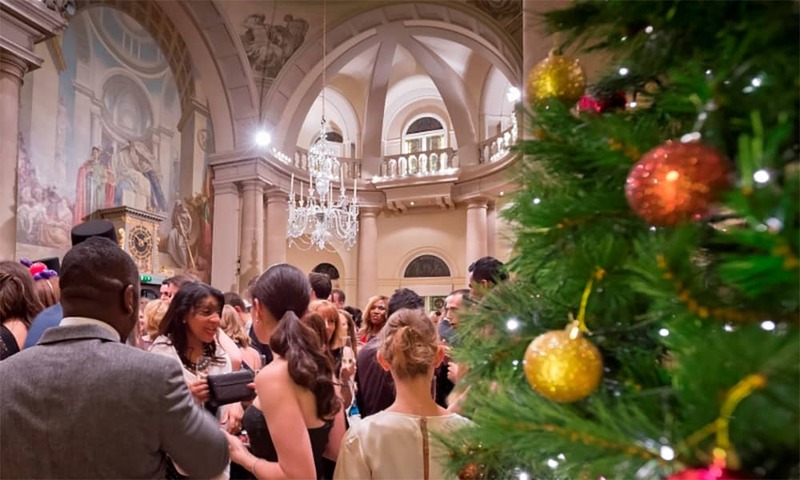 Every year One Moorgate Place is transformed into a sparkling Christmas party venue. 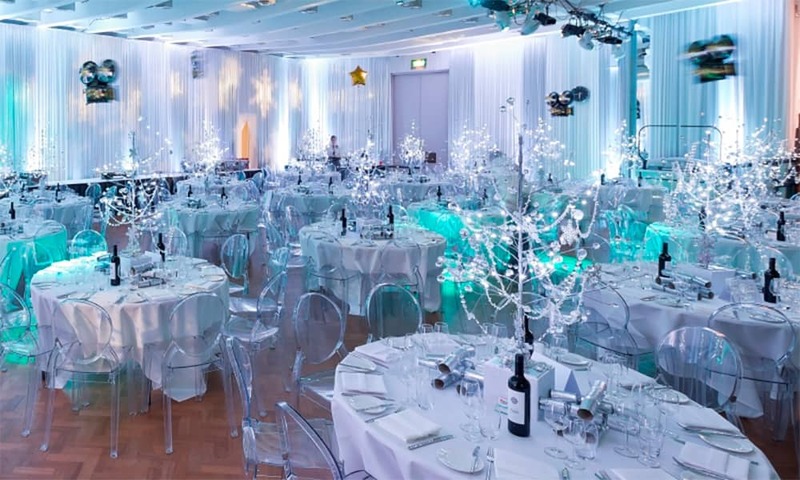 There are a number of rooms which can cater for Christmas lunches or the ultimate office Christmas party experience. 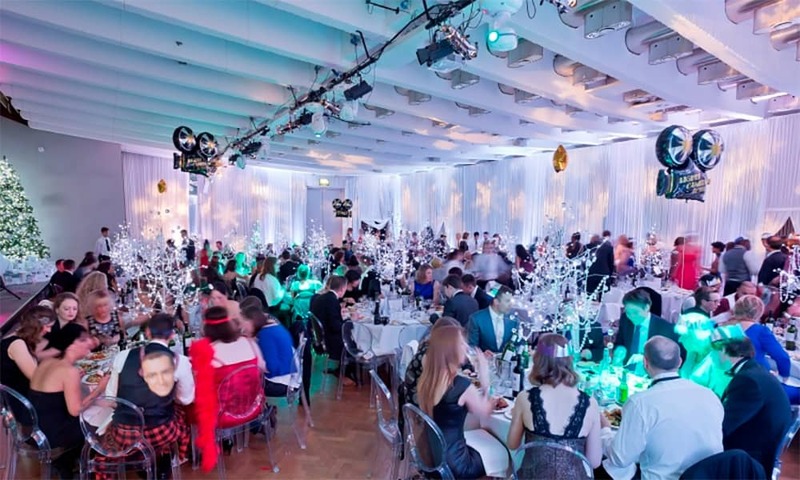 Capacities range from an intimate Christmas lunch of 8 to a large party of 270. 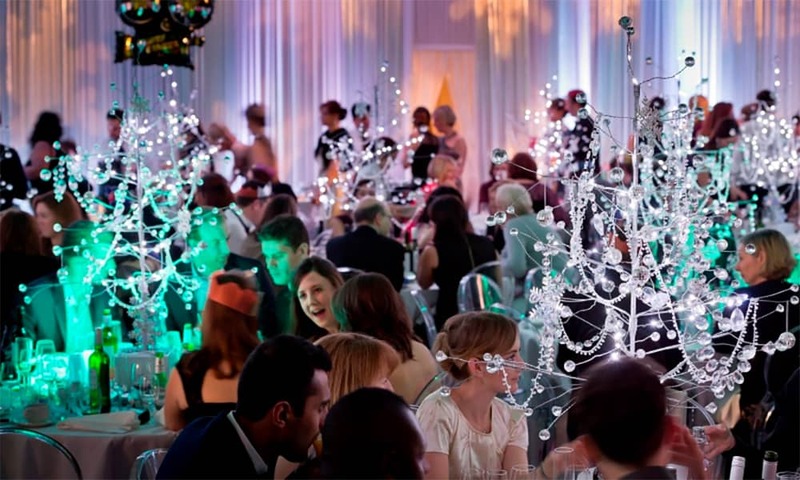 A dedicated events coordinator will work with you to deliver your bespoke Christmas party. 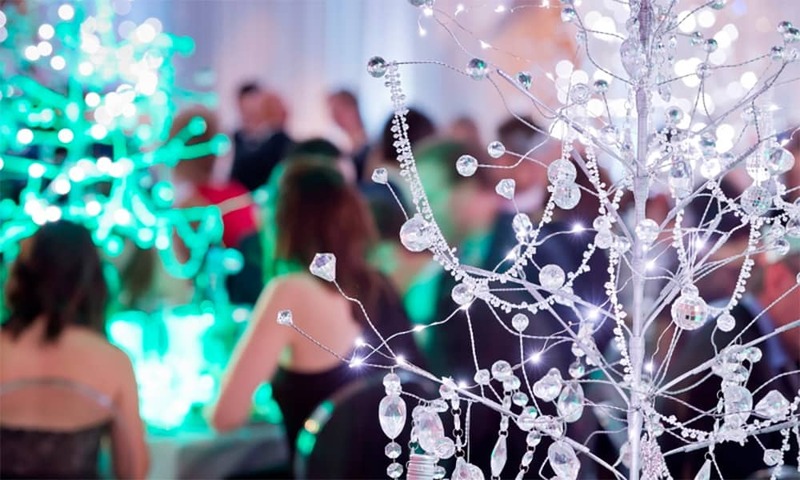 This year, prepare to be whisked into a paradise of Diamonds and Pearls, embrace the twinkling lights, captivating centre pieces and party atmosphere as the Events Team coordinate the ultimate Christmas party for you. Unique features: The Main Reception Room is the focal point of the building and delivers the 'wow-factor'. 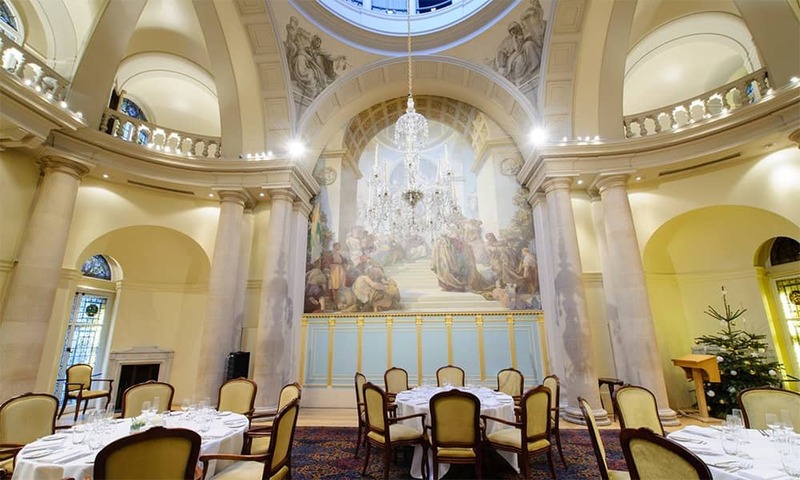 Sparkling chandeliers, artistic murals, stained-glass windows and the domed glass ceiling will whisk you away from the bustle of modern London and transport you back to an era of elegant decadence. 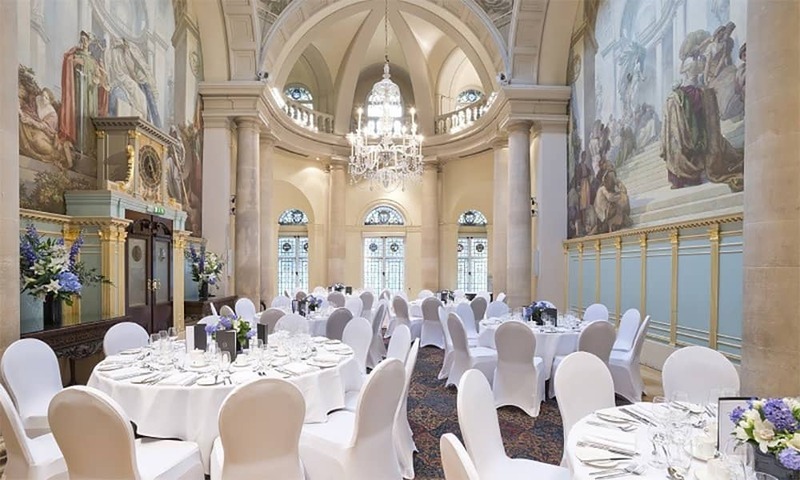 Unique Features: The Great Hall is a versatile space which is easily adaptable to meet your creative and fundamental event requirements. The split screen system and stage make it one of a kind. Unique Features: The Member’s Room is far from formal as its name would suggest, the replica Rialto bridge exudes charm and compliments the architectural beauty of the room. The book lined walls create an inviting atmosphere willing you to recline and enjoy your evening in style. 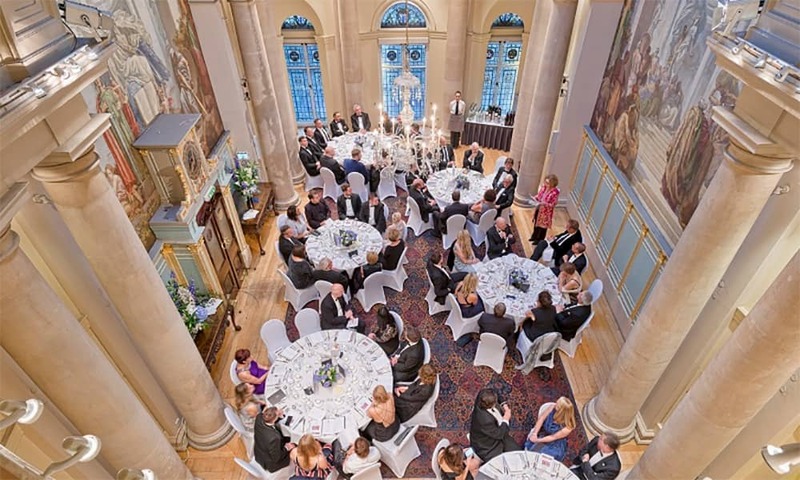 Unique Features: The Small Reception Room is richly decorated and provides an intimate setting for private dining, a drinks reception or meeting. This bright space features a beautiful bronze fireplace and elegant 18th and 19th-century furnishings. It is understated in its beauty and brings a touch of class to any dining experience. The nearest underground station is Moorgate (5 min walk) (Hammersmith & City, Metropolitan, Northern and National Rail East Coast Main lines. The nearest main line station is Liverpool street station (6 min walk).